For the 18th year in a row, the Porsche Owners Club and the Porsche Club of America joined at the California Festival of Speed 29-31 March for a weekend-long series of racing excitement, car shows and action for Porsche enthusiasts. The three-day exhibition hosts every year autocrosses, swap meets, parts vendors, car corrals, club racing, time trials, a Porsche 356 timeline display and many other activities making the festival a bucket list event for any Porsche aficionado. 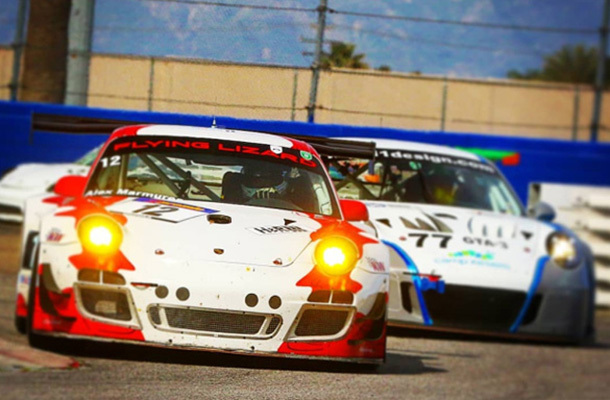 As a Porsche enthusiast himself, Dr. Alexander Marmureanu brought his Porsche 911 GT3 R on the famous Auto Club Speedway in Fontana, California and qualified 1st with an impressive best lap time of only 1 minute and 37 seconds. The race series continued with another 2 sprint races and 1 enduro race, with Dr. Marmureanu coming in 1st in both sprint races and 3rd for the enduro race, but 1st in his class, walking away with the 1st place overall trophy. Dr. Marmureanu maintains his position as California's top tier thoracic and cardiovascular surgeon while living his other passions such as car racing, skiing, and tennis to the fullest, with an impressive collection of trophies and awards gathered along the way to prove it.